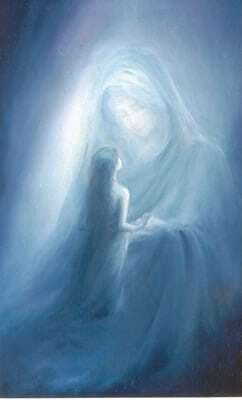 Greetings, I am Mary, Universal Mother, Mother of Love, Mother of ancients, Mother of new, and yes sweet angels, if you wish to call me Divine Mother, then go right ahead, for we are one. This separation that is constructed by humanity to separate rather than unite has need to be eliminated. I come to you in this way to be the face, the voice, the energy, and the love of the Mother. Let me be clear my beloved ones, people of Earth, I have but one thing to offer, to give you, and that is love…and that is all I offer. Are there many elements, many qualities, many faces, many expressions and experiences of love? Of course there are, but there is only love. If you wish to understand my energy then come with me into the Love, come into the embrace of the fullness of my being and all you will know, all you will feel, all you will experience is love. I come this day to speak of my Tsunami of Love: Did you really think dear hearts that it was over? You have a saying upon sweet Gaia, “It isn’t over ‘till it’s over”. I am not done. And so, I come this day to gather you, to speak to your hearts, your minds, your souls, your beings and to share with you that I increase the tsunami and I increase it because this is the final wave, this is the final push. Do I leave? Do I evaporate? Do I disappear? Of course not. But, this is all that will be required. When did I ask you to stop doing this meditation? When did I ask you to stop coming to the depths of the oceans, to the height of the waves, to play in the shallows, to ride the surf? Well, I didn’t! And so, I renew my request of you: “Come with me every day as you begin to ride this tsunami.” Now, I have added significantly, not only to the wave, but the energy that is penetrating your planet, as I have already spoken of, through the Great Central Sun, through your sun to you. You are feeling and you are knowing greater electricity, greater bliss, greater joy; yes, there is talk of the removal of the core issues, and this is part of it. But as you walk through this removal you walk out into the brightness of a brand new day, a new dimension, a higher reality, a New You. I have infused the air, the atmosphere of Gaia and far beyond, with the renewed energy of ‘grace’. So, it is not simply the moisture that falls upon sweet Gaia, it is not merely Uriel’s energy to remove, to wash away, lack, limitation, and all the false grids that you have so vigorously engaged in; the very air is infused with ‘grace’, the presence of all blessings and virtues, the presence of my essence, of my love. Now how does ‘grace’ differ from the energy of love? You use the ‘grace’ to manifest into physical reality, interdimensionally, including your renewed 3rd. So, know that as this rain falls through the air, in the deserts, in the forests, in the mountains, it is also composing a new song of humanity. It is time, not merely for the unfoldment of my plan, but the unfoldment of your plan, the unfoldment, the recognition, the manifestation of your magnificence. The tsunami, through the sun, through the rain, through the air, through the water, infuses you. You say, “Mother, I do not know how we have shifted, have we ascended, how have we changed?” Beloved ones, look what you are entrusted with; do you think in any way, shape, or form that I would have suggested, guided, requested, for you to go from working with small groups of family, of friends, of community, to working with millions and billions upon the planet if you were not expanded enough for such an undertaking? So, you say, “What is the nature of this final wave? Mother, have we not already been washed clean?” This final wave, sweet angels, is for expansion. You have grown, but you have not finished growing. You are expanding truly into Nova Being, prepared, ready, eager, equipped, to create and to co-create, in unity and community, Nova Earth, Terra Gaia. Now you say, “Well, the nature of this expansion, will it also reach those who are reluctant and recalcitrant?” Yes, but it will not expand what you would refer to as their reluctance, their avoidance, their wish to remain in a realm that no longer exists, so, it will wash them thoroughly. But I ask you, I request you to throw open your hearts, particularly to this group, turn around, most of you are flying in and out of the Ascension portal. I am asking you, turn around and face the reluctant, the recalcitrant, those in despair, disillusionment, disappointed, dishearten; turn around, send them the energy, let the tsunami pass through you, to your expanded self, and to them and then throw open your arms and embrace them. Yes, they are those who have stubbornly adhered to blood-lust and greed and control and hatred, all the things that we and you want eliminated once and for all upon this beautiful planet. And you do not accomplish that unless you are prepared to love them; you are loving them into surrender, you are embracing them as I embrace them…as souls that have lost their way, who do not know or remember what it is to be loved, what it is to be the Love and you, my blessed angels, my masters, do. And so, I turn to you in this way that is enormous, it cannot be avoided and it will not merely reach the shore, it will cover every inch of the planet, from the top of the Himalayas to the low-lands. I ask you…expect the miracles, create the miracles, accept the miracles, and be the miracle. Come back and do the meditation with me and turn around, do not face out to the ocean, turn around to the shore and see who is standing there and call to them, go and get them, show them it is safe, it is alright, and that you care enough to help them. Let us finish what has begun so long ago; let us begin the new, in your cycle and mine. You are mighty, you are capable, you are brilliant, you are sweet, you are kind, you are gentle, you are mine and I am yours. Let us begin.